When reading this months Elle magazine I came across an article called 'The Skin Fast' which discussed whether a detox from too many beauty products could fix all your skincare woes. 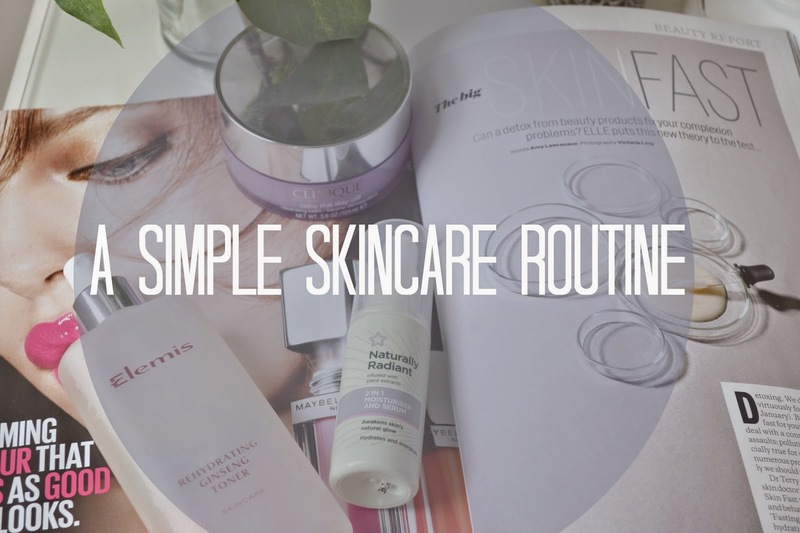 This idea has been playing on my mind for a long time now and has really influenced my skincare routine the past couple of months and so I thought I would share by the journey of cutting down my excessive beauty regime. I went through a period of really bad skin towards the end of last year and the beginning of this year. I was so confused as to why my skin had suddenly broken out and was so dry and sore. I tried everything I could to try and fix the problem, I cut out dairy, I drank more water and I consistently cleansed and looked after my face. It wasn't until I stop my over-obsessive skincare routine that my skin returned to its normal state. I found it quite difficult cutting back on all of the face masks and oils and moisturisers because I used them so frequently and thought they were really helping my skin. I've not plastered my face with different lotions and face potions to try and improve it and my skin has been better than ever. I wouldn't say I've neglected my skin, I've just given it a much-needed rest. 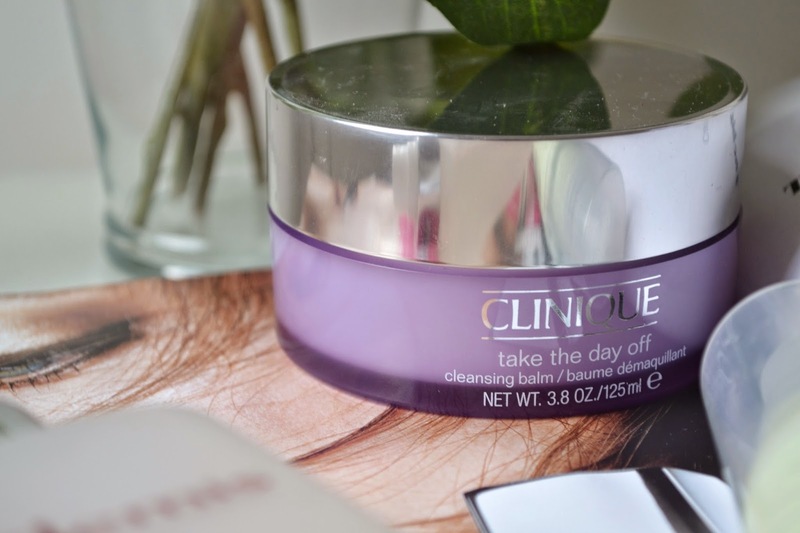 Clinique Take The Day Off - I've talked about this product so many times before and it's without a doubt my HG skincare product. It's fragrance-free and is so gentle on the skin yet removes makeup and cleanses so well. I recommend this to everyone, I'm 99.9% sure that I won't find a cleansing balm that will top it. 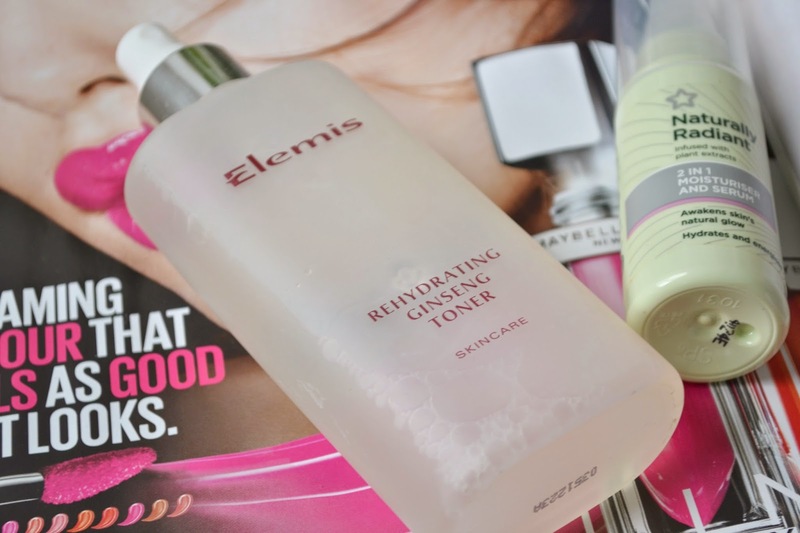 Elemis Re-hydrating Ginseng Toner - I could never cut a toner out of my routine, since discovering toner it is without a doubt one of the essential parts of my morning and evening beauty schedule. This Elemis toner is so lovely and has re-hydrating elements which are perfect for my dry skin. Superdrug Naturally Radiant 2 in 1 Moisturiser and Serum - I change up my moisturisers every other week to ensure my skin doesn't get too used to them. This Superdrug one is surprisingly one of my favourites. I normally opt for a more luxurious moisturiser but after receiving this is a goodie bag I've been using it quite a bit. I love the idea that its both a moisturiser and serum combined so I get two steps over with one product. It has a gel formula and is so light on the skin so is perfect to apply just before makeup. Yes, I enjoy the occasional face mask session and don't always keep it so minimal but don't we all? I would without a doubt recommend a skincare detox if you are having skin issues that won't seem to go away!